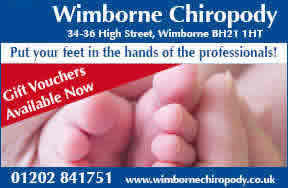 Wimborne Chiropody is located in the very heart of Wimborne. 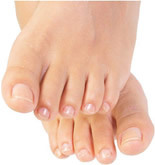 We provide a professional and friendly service with a team of fully qualified, hcpc registered chiropodists/podiatrists. Telephone 01202 841751 to book an appointment. We will be closed over the Easter Holiday, (Good Friday, Saturday & Easter Monday). Home visits can be arranged. Late night appointments available on Mondays. Please contact the surgery for availability.